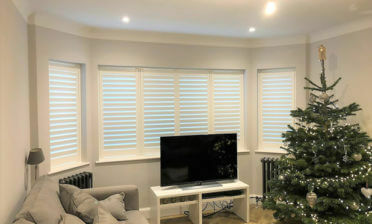 Ben was recently in Fulham to fit some of our Coralwood Shutters for a new customer. The homeowner was looking for a sleek design of shutters for a bay window in one of the living areas of the home. 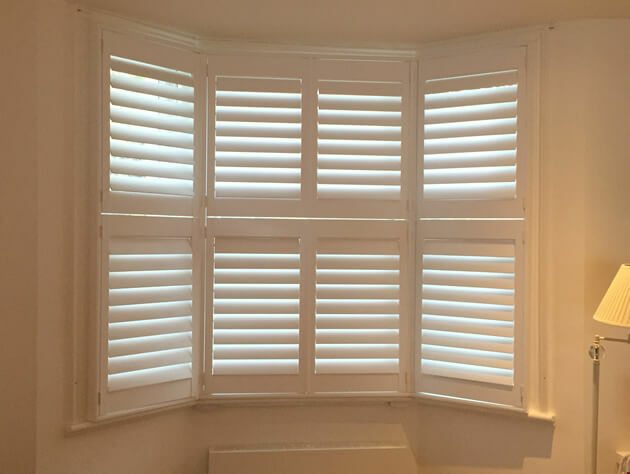 We designed some shutters based around their existing room decor and colours, fitting them millimetre perfect into their existing bay window recess. The shutters are created using a Coralwood material in a Tier on Tier style which simply means that the shutters are split up into top and bottom sections. This allows the customer to not only adjust the louvres on both sections independently, but also open and close the shutter panels separately depending on their need for light and privacy. 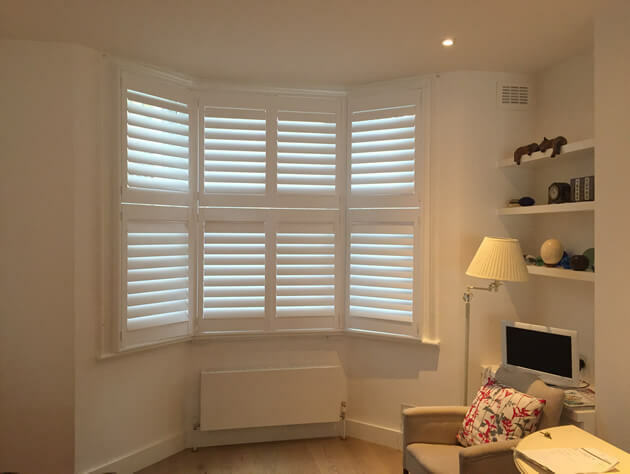 The shutters were fitted with thick 89mm louvres on a hidden tilt rod system which helps to create a traditional look, yet also sleek and modern with no visible tilt rod. Occupants of the home can simply adjust each panel of shutters by touch, with each louvre on the panel adjusting at the same rate as the one being moved! We fitted the shutters to the bay window recess using a 4 sided insert L frame and completed the shutters using pure white paint and matching hinges. This has helped blend the shutters in seamlessly with the existing look and colouring of the room. You would think they have always been there.